Please note: Size requirements for individual birds may vary. The band sizes are suggeted by the manufacturer. The AFA does not take responsibility for the suggested sizes. Individual states may have their own banding requirements for exotic birds. AFA cannot guarantee that these bands comply with those requirements. Each aviculturist should independently verify these requirements. The band manufacturer is closed during the month of July. Please plan your orders accordingly. If you only need one or two bands, you can purchase what you need with no minimum order required. AFA has available suitable band sizes from Canary to Macaw. All bands have the AFA logo imprinted. The bands are traceable through a special coding and numbering system formulated by the AFA. 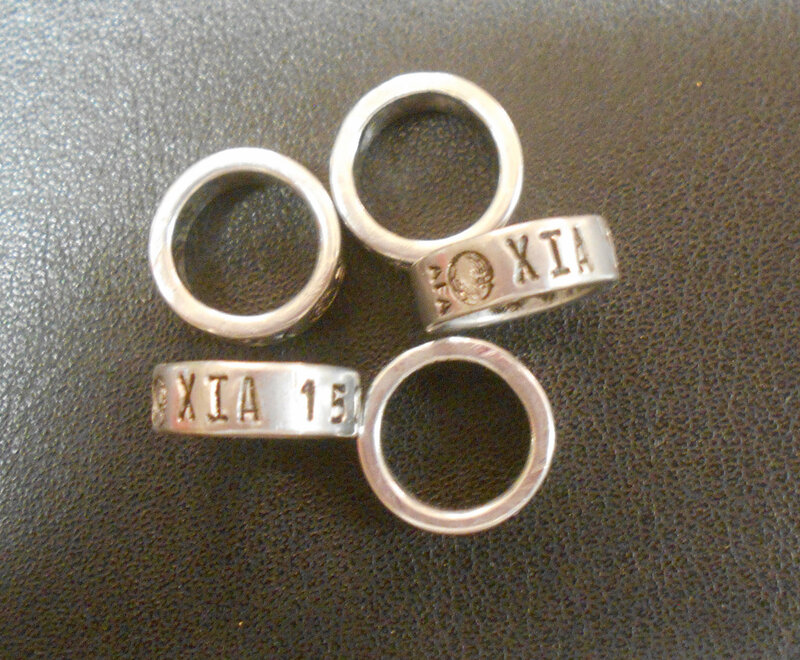 The bands do not have a year imprinted and no customization is available. They are silver in color and are priced per band. Any inquiries regarding the origin of a band will be forwarded to the registered code owner. It will then be the responsibility of the code owner to contact the inquirer. The manufacturer is closed in July. These bands are not recommended for large parrots, especially not Hyacinth Macaws, Greenwing Macaws, Buffon's/Great Green Macaws, Blue-throated macaws or Palm Cockatoos. Instead, we recommend using stainless steel.